She was preceded in death by her parents, husband, brothers; Delbert, George Jigs, Earl, Calvin, sisters: Marion McClaine and Grace Goercke and great grandchild Wyatt. Funeral Service will be 11AM on Wednesday, April 17, 2019 at St. Stephens United Church of Christ. Rev. Kyle Carnes will be officiating. 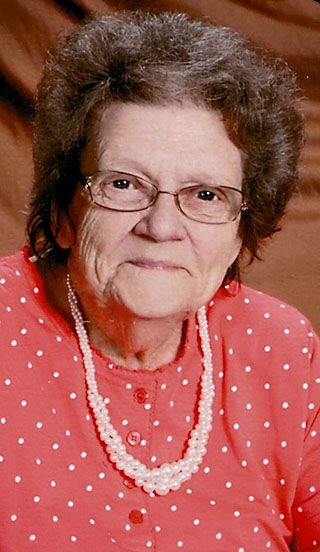 Visitation will be on Tuesday, April 16, 2019 from 5PM to 8PM at Waid Funeral Home & again on Wednesday from 10 AM until the time of service at church. Burial will be in Merrill Memorial Park Cemetery.